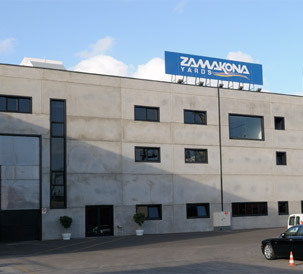 Several companies came together to form ZAMAKONA YARDS, a business concept that leverages and maximises the qualities of each of the member companies. The strategic locations of our companies along the Atlantic coast and the wide range of services offered make ZAMAKONA YARDS the strategic partner for ship owners. From initial advisory and design services, through ship building, to all kinds of maintenance, supply or repair operations required by your vessel throughout its useful life, ZAMAKONA YARDS offers the best guarantees on the market. We look constantly to improve. We maintain close and fluent communication with our clients. We apply a System of Integral Management in all of our operations. Our production facilities are located in strategic positions of the Atlantic Ocean. We are at the crossroads of Europe, Africa and the American continent. We are located in the Canary Islands and the Basque Country, covering the whole area extending from the west coast of Africa to northern Spain.